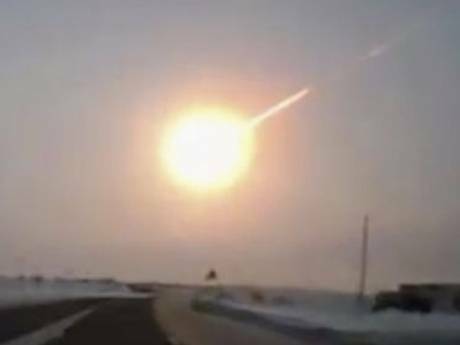 Hollywood-style Meteor screams its way into Russia! 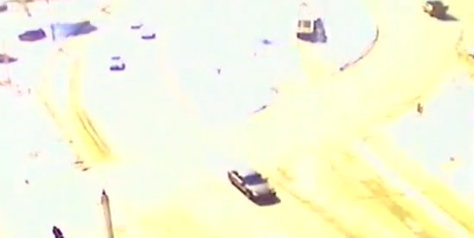 Bright light, explosion and a shock wave, this is what the people of central Russian city of Chelyabinsk experienced. The day got brighter and brighter as the fireball blazed its way to the city. Many buildings suffered severe damage from the shock wave while glasses and mirrors broke. The sonic boom generated by the meteor was coming at a speed of 19 miles per second. Does it have any relationship with the coming Asteroid? In 1908, a meteor devastated an area of 1,250 miles in Siberia, the power was said to be more stronger than an atomic bomb. It destroyed mirrors and glasses that were 125 miles away from the incident. Why was it not predicted? Does it has any connection to the coming Asteroid? No, it does not have any connection! The much-waited Asteroid would travel from the south of the planet while this meteor crashed from the northern direction.